Did I complain rain wind and cold? Now same here, hot hot hot. We are Germanys Hot Spot. 36°C in the shadow at KIT thermometer at noon. 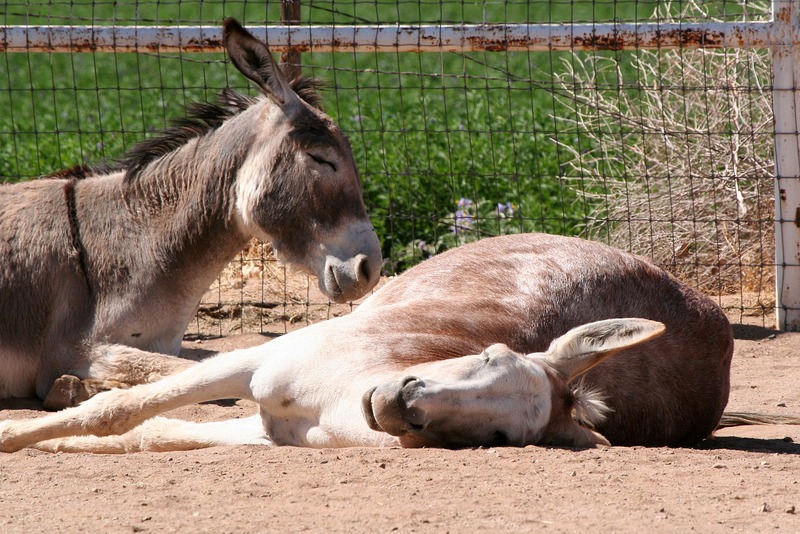 If it gets any hotter, I wouldn’t be surprised to see some donkeys lined up on that carpet in the cool air of the house. Ha, good one Linda. Donkeys indoors—wouldn’t that be a circus waiting to happen? We had a few very hot days last week. My rooster and hens were lined up at the door, wondering if they could come in for some fresh fruit and air conditioning. The best I could do was let the hose trickle for them to enjoy their own little oasis. Hope it cools off for you soon. 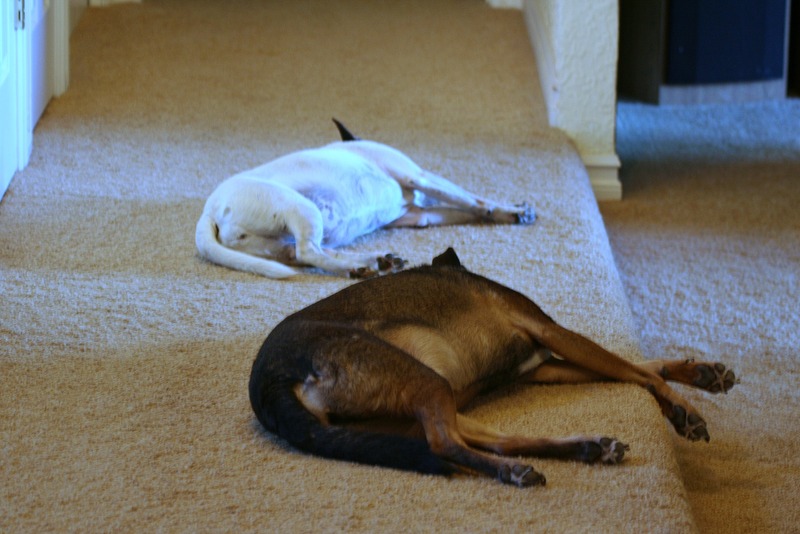 I hate how the animals lay “dead” in the heat. Ellsworth is doing it and my chickens do it. What’s worse, they don’t move until I’m very nearly ready to pick them up. I hope you get some cool breezes down from the mountains soon. Ellsworth the Sun Worshipper!! Well, he has been working hard, so I guess that he can relax hard, too. Sounds very hot at Morning Bray Farm! Just now Flora is laying on the grass feeling the sun warm her, because we are in winter season. that’s about how I feel down here…. 99 degrees and 100% humidity…. talk about some bad hair days…. That’s cute! My house often looks like that, plus two cats!